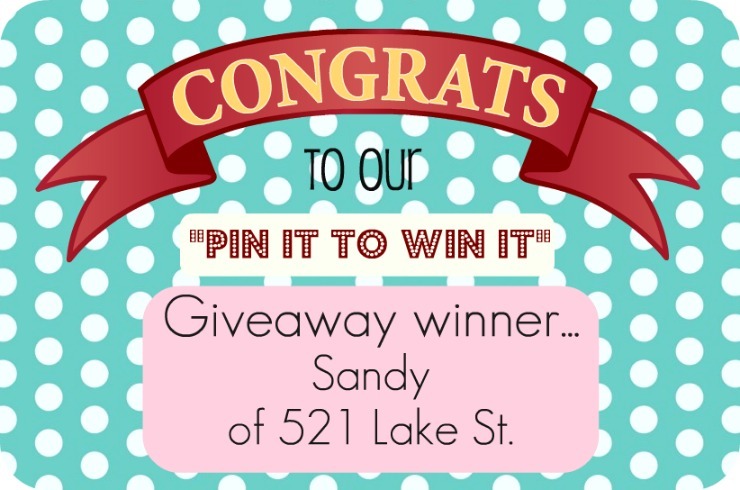 Happy Monday and Hooray for our winner! The winner of the 50.oo Everyday is a Holiday gift certificate! Just want to thank everyone for spreading the love on pinterest! I wish I could have picked all of you! We received so many sweet messages and comments about our new JUMBO diecuts! That really makes us so happy! We are currently working on a FUN new batch and they go in a totally new direction! Well actually, more of a throwback for us! We are going back to our roots and I think you guys will get a kick out of them! :) More on that soon! We are also working on a really fun DIY home project right now, and we hope to have it finished this week. I may post a sneak peek tomorrow. So if you love vintage wallpaper be sure to check back! Wishing you guys a GREAT week!! Can't wait to see what you are working on! Congratulations to Sandy! I do love old wallpaper so look forward to seeing your project. oh man... did I miss this? bum-mer. @cheryl....Be sure to enter the current giveaway!! Fabbbb Margarita Bloom goodies!! Thanks for popping in gals! !